We’ve known for a while that Alexandria Ocasio-Cortez’s “Green New Deal” was a pipe dream and socialist fantasy. But today, the environmentalist left truly went off the rails. 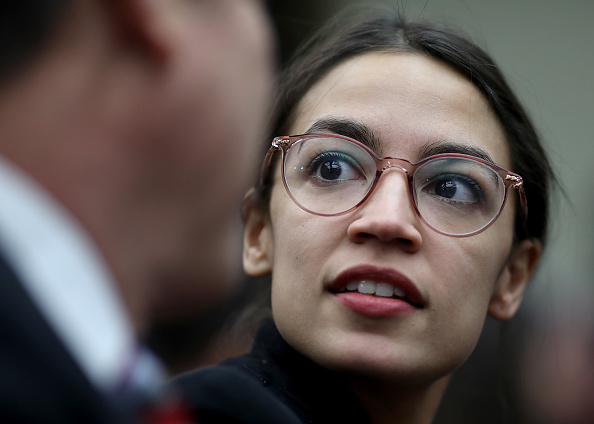 This morning, Alexandria Ocasio-Cortez rolled out a resolution backed by much of the left’s leadership outlining her goals for a “Green New Deal.” Her official office also released a series of talking points that can only be described as bonkers. The “Green New Deal” is presumably about environmental policy, but most of it is about advancing a socialist-inspired agenda. We already knew that it included some unworkable environmental policies like decarbonizing America in 10 years, a single-payer government takeover of healthcare and a guaranteed jobs scheme. Now, thanks to a document released by Ocasio-Cortez, we now know the plan is even more extreme. If you drive to work, fly on airplanes, and eat hamburgers, Alexandria Ocasio-Cortez and the left have a problem with your lifestyle. The document released by her office calls for retrofitting or rebuilding every single home in the country, effectively banning conventional cars, as well as getting “rid of farting cows and airplanes.” That’s right. Your car has to go. No flying. No steak. Ocasio-Cortez also declines to detail how much any of this would cost. Don’t forget, every major 2020 primary candidate on the left has endorsed the “Green New Deal.” Kamala Harris even doubled down today, after the ridiculousness of the proposal was exposed, tweeting that she is “proud” to cosponsor the bill. This is not serious energy policy. This is lunacy, and the mainstream media should be calling it out as such.